The 112-year-old Patterson Mansion, the sole remaining example of the grand mansions that once graced Dupont Circle in the nation’s capital. Once owned by Eleanor “Cissy” Patterson, this distinguished residence was the center of social life for the city’s newsmakers and influential citizens during the first half of the 20th century. In 1927, President and Mrs. Calvin Coolidge resided here while the White House was under renovation. It was here that they welcomed Charles Lindbergh following his celebrated solo transatlantic flight. 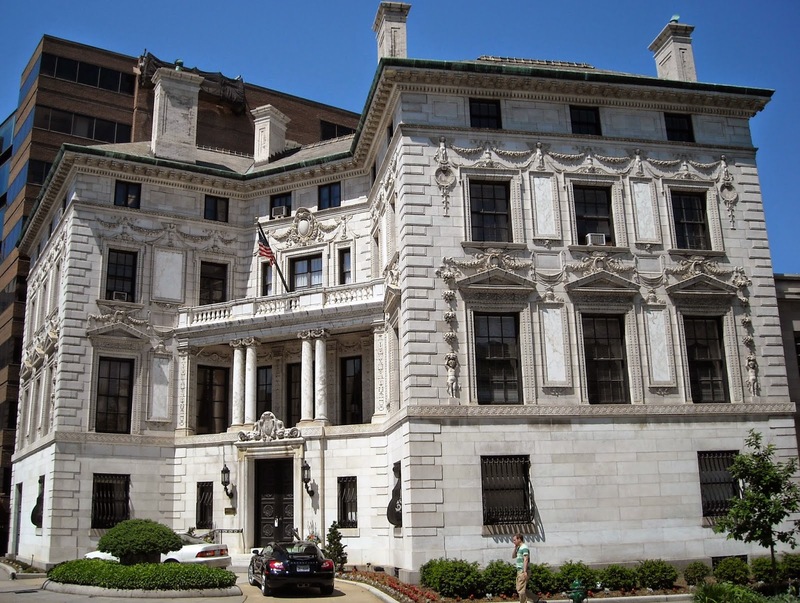 The 36,470 square-foot, four-story white marble and brick residence at 15 Dupont Circle is situated on a one-third acre site at the corner of P Street and has housed The Washington Club since 1951. The mansion was designed by architect Stanford White of the prominent firm McKim, Mead & White and is the only remaining example of his work in Washington, D.C. This celebrated property is suitable for use as an embassy, foundation or association headquarters, social club or, once again, as a personal residence. Next Open House: April 20, 2019 Beds: 3 Baths: 3 Sq. Ft.: - $/Sq. Ft.: - Lot Size: - Year Built: 2019 Location: BLOOMINGDALE Last Sale: - On Redfin: 0 days Status: Active MLS #: DCDC423038 Listing: - Map It | View Details | Go Tour It Buy this Home and Save $3,451. How?